This recipe is SO easy it’s barely a recipe. But I find people do need instructions to make it, so here it is. I like to meal prep these and make 2-3 potatoes at once then take out a few slices when I’m hungry. They last pretty well in the fridge so it just makes it a lot easier later on. I’m pretty obsessed with these bars. They come out thinner than a brownie, and more like a protein bar thickness but they are fudgy and chewy! They are really filling from all the natural protein, fiber and healthy fats in the almond flour, flaxseed meal and collagen. Plus the cacao and CBD both give them a relaxing property. This makes them the perfect afternoon treat, when you hit that mid-day slump or after dinner treat to wind down before bed time. 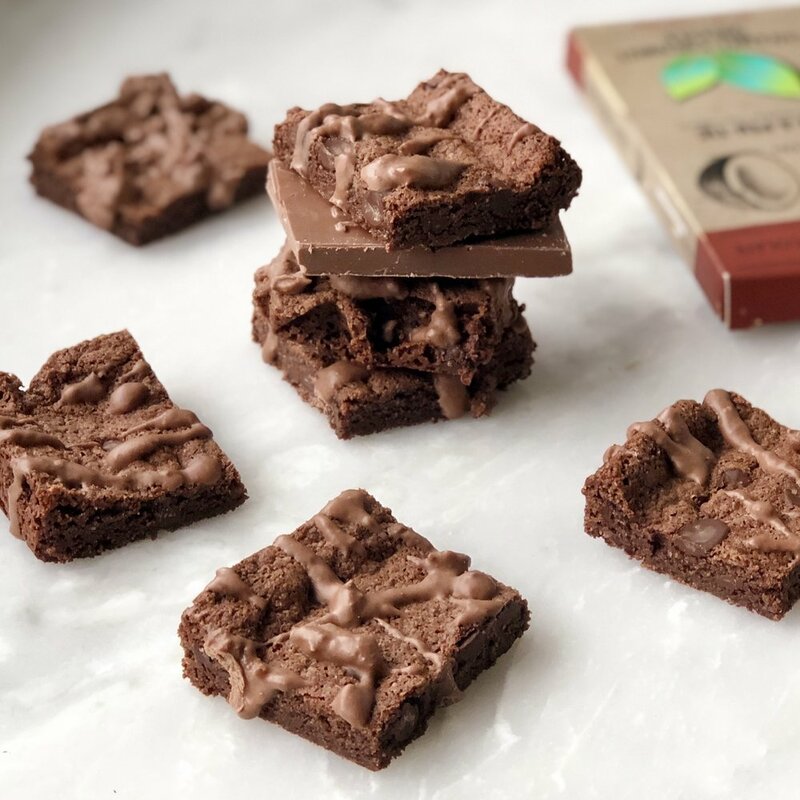 I used the thera treats caramel coconut drizzle flavor of CBD chocolate bars. Code CPRESS saves you 10% on their website! Recipe below. Who doesn’t love a good oatmeal cookie? These are perfectly chewy and not overly sweet, and they use almond flour instead of wheat flour so they are allergy and gut friendly! I used dark chocolate instead of raisins because who doesn’t need more chocolate in their life? Also this dark chocolate is special because not only is it high quality organic (gluten-free and vegan), it contains CBD, which, is a hemp extract that has a lot of healing benefits. CBD can help reduce physical pain, reduce anxiety and is overall calming and soothing. Since Theratreats only uses full spectrum organic CBD oil, there is no THC in it, so you don’t need to worry about any crazy side effects. I used the raspberries and cinnamon organic dark chocolate bar from Theratreats, you can use code CPRESS to save 10% off anything on their site! You might be thinking, why are these happy muffins? First of all - how can anything mini, chocolate and coconut not make you happy? Second of all - I added “Pretty Mushrooms” bliss blend (no it doesn’t taste like mushrooms). This blend contains medicinal mushrooms which are different than the creminis or shiitakes you buy at the store. These mushrooms are adaptogens, which, means they help our bodies adapt to and combat certain stressors and imbalances. This particular bliss blend contains reishi (which is known for relaxation), cacao (which contains magnesium that also helps with relaxation and tons of antioxidants), eleuthero root (which is known for mood boosting and relaxation) and ashwagandha (which is known to help combat stress). Winning combo if you ask me. 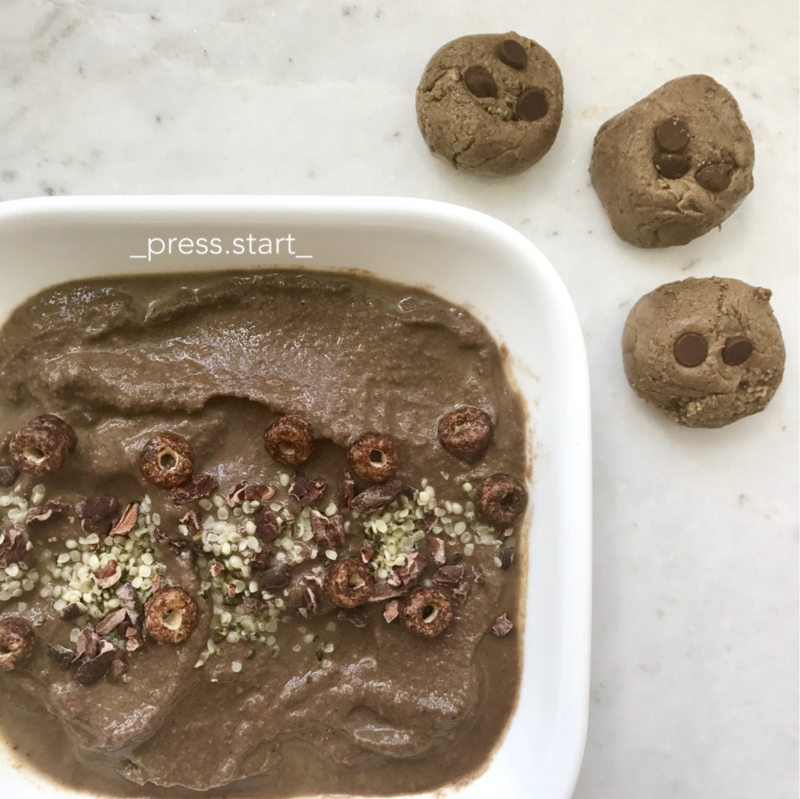 Now to this recipe - it’s paleo, grain-free, gluten-free, dairy-free and refined sugar free but not at all flavor free. And I love the mini size for when you just want something small and sweet or you can have a bunch at once for a filling snack. Honestly, the overly long name of this recipe really says it all. These cookies combine all the best things - banana bread, granola, and cookies. I mean what more could you ask for? Bonus is that they are only sweetened by the banana, and have healthy fats, fiber and protein to keep you full. So these are a great sweet treat or energizing snack! Whenever I have ripe bananas I like to make a batch for snacking on the go. 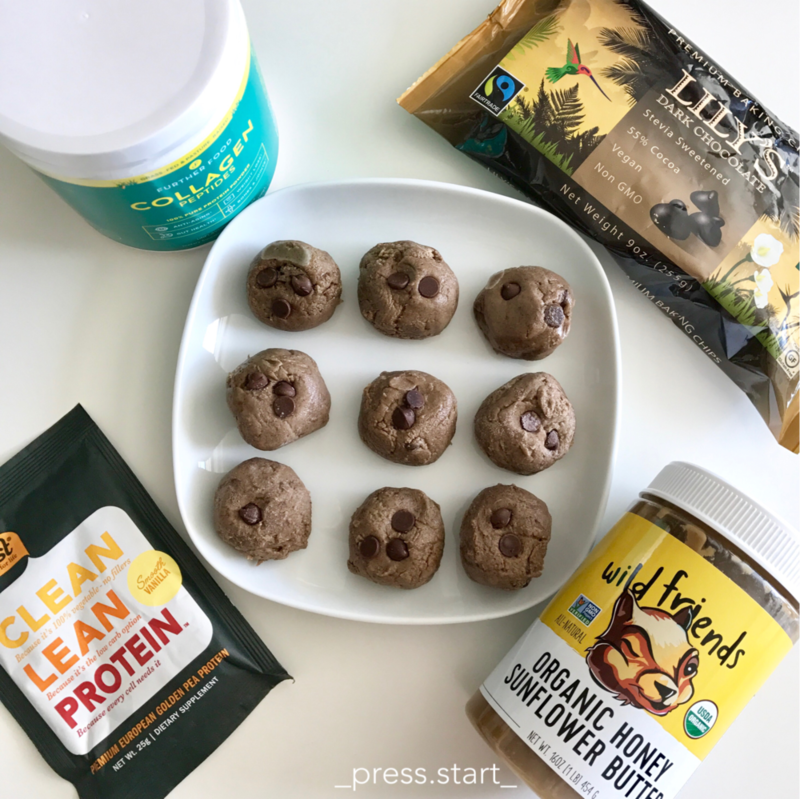 These thanksgiving feast bites are the perfect appetizer to bring to any fall or winter party since they are all of your protein and veggies in one plus the flavor just gives you all those holiday vibes! Bonus is they take less than 30 minutes to make. 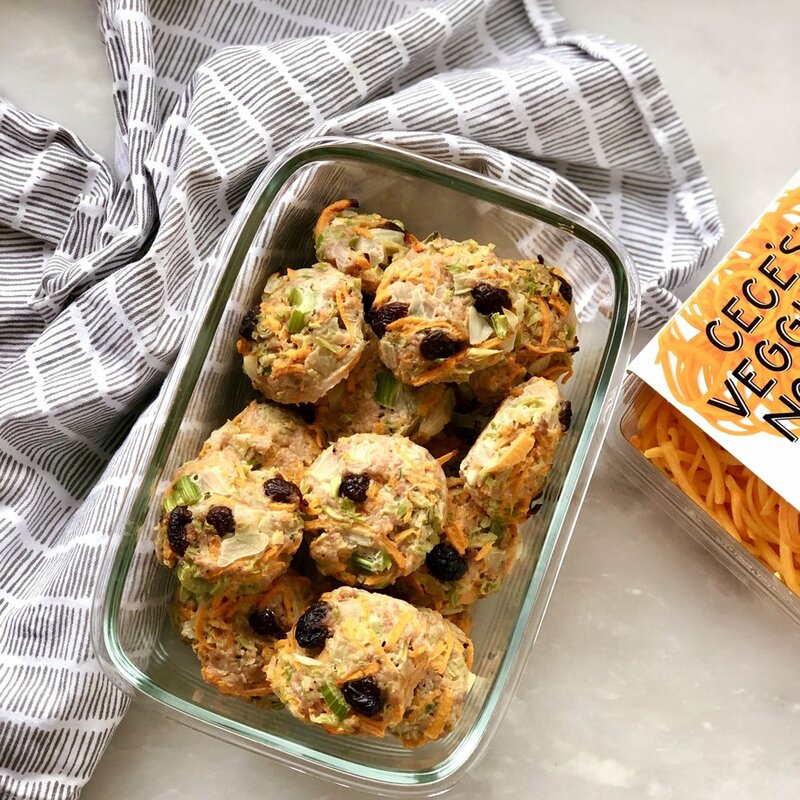 I love using Cece’s Veggie Co premade veggie noodles and rice for this to keep it super quick and I love that they are all organic and high quality. Plus, adding all the veggies in there make these fit with my magic formula for a powerhouse meal or snack PFFP. PFFP stands for protein, fat, fiber, and phytonutrients. The turkey thighs provide quality protein & healthy fats, while the veggies provide the fiber and phytonutrients. Click here to see where you can buy Cece’s products near you. You can also rice your own broccoli and spiralize your own root veggies. This recipe will also get you in the holiday spirit but you can totally replace the cranberries for something else and make this any time of year! I love adding the SuperBeets beet collagen to these because beets have so many health benefits including helping to support a healthy cardiovascular system. And collagen is essential for helping to support things like healthy skin. The texture of these is more “cakey” thank a traditional scone (less crumbly) but they’re a delicious breakfast or tea time snack regardless! Here is a link to get your own SuperBeets beet collagen so you can make your own! These are paleo-friendly, dairy-free, gluten-free, grain-free and refined-sugar free. 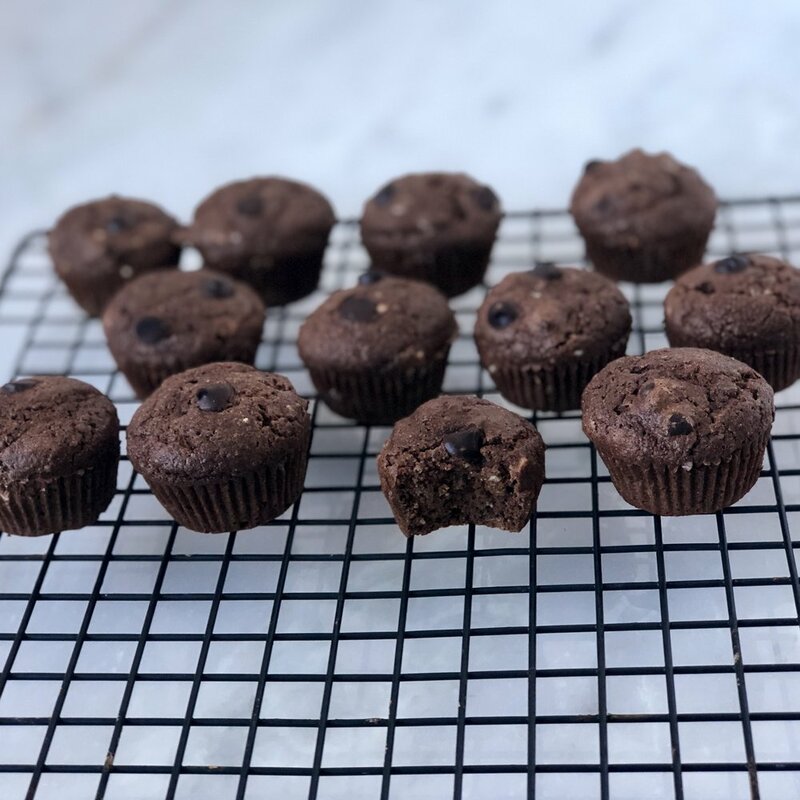 If you've been following me for any amount of time you will know that muffins are one of my favorite food groups ;) They are portable, easy to meal prep and if you use the right ingredients, they can be full of energy boosting nutrients. These cinnamon cassava muffins are all of the above, plus they are super delicious! Cassava flour is a grain-free flour, which means it is less refined so it has a slower release of energy (instead of quick energy spike followed by an energy crash), it also does not have any "anti-nutrients" found in many grains and is paleo and gluten-free! Here is a link to buy my favorite brand (Otto's cassava flour) on Amazon and here is a link to buy on their website. This recipe is a great meatless source of protein and full of anti-inflammatory turmeric! They're great eaten by themselves as a snack or as the protein in a meal. I love pairing mine with veggies and hummus. 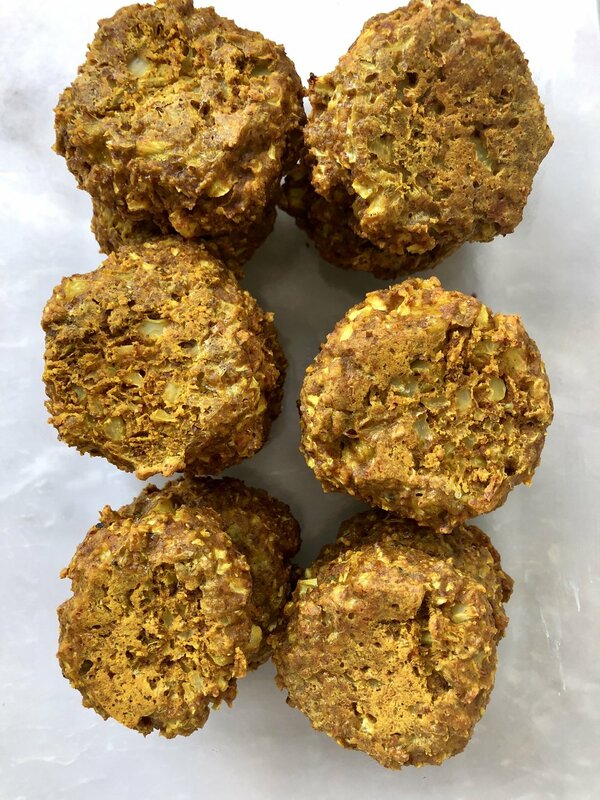 This recipe makes about 12 "fritters" and I say serves "4" since I usually eat 3 per serving if I want them as a main dish, but you can easily have 1 or 2 as a snack and it will serve more. As with everything else I make, I love meal prepping them for easy access during the week. I call these muffins "cloud' muffins because they are so FLUFFY! They are completely paleo and don't have any sugar added! I love these for a grab and go breakfast or snack. I recommend storing in an air-tight container in the fridge (or else the pumpkin and apple sauce will go bad) or these freeze really well! Hemp hearts are the center and most nutrient-dense part of the hemp seed. These muffins pack an extra punch of protein from the hemp seeds sprinkled on top, the greek yogurt inside and the eggs. They are a perfect, filling AND portable breakfast or snack that won't leave you wanting more. You can customize them with "mix-ins" of your choice as well but I prefer mine plain with some Siggi's yogurt or almond butter on top.